Personal Blog, mainly Baking, Programming and Gaming. This is my favorite salad. It’s suitable for most occasions and can serve as a main or side dish. It takes around 20 minutes to prepare. 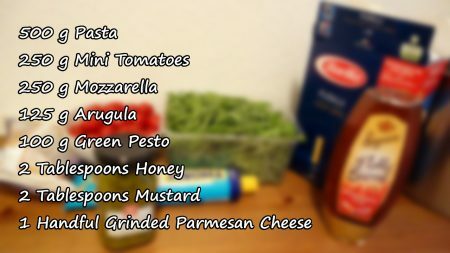 Cook the pasta as described on the package (al dente). While the pasta is cooking you can cut the mozzarella and the tomatoes. I divide the tomatoes once or twice, depending on their size. 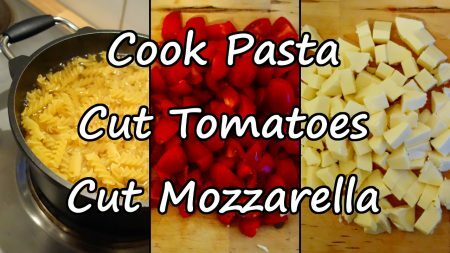 The mozzarella is cut into pieces roughly the same size as the tomato pieces. 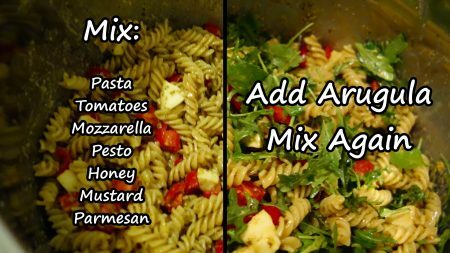 Add everything to the bowl, except the arugula! 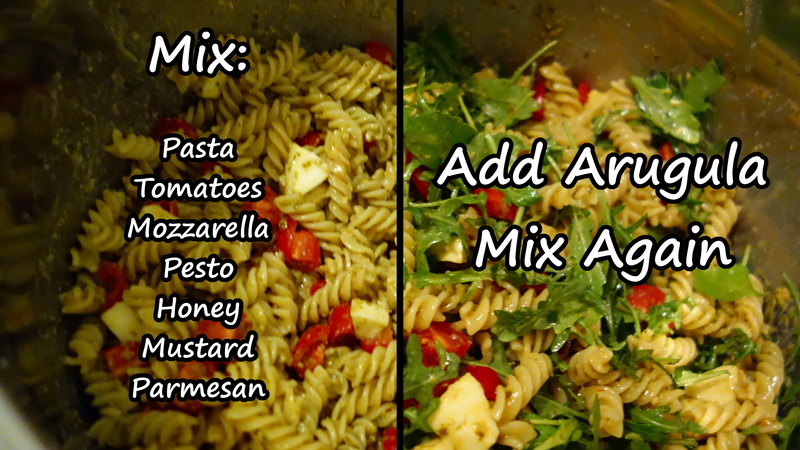 It takes a long time mix everything up if you add the arugula directly. 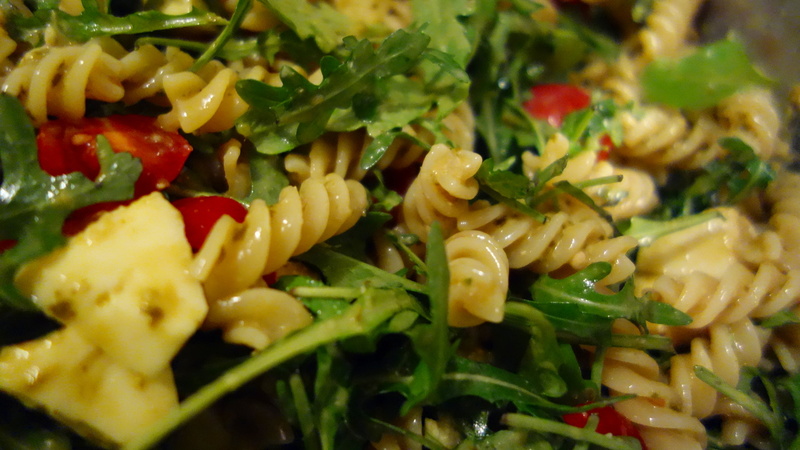 Mix the ingredients until everything is coated than add the arugula and mix it again. After using a hand-crafted blog for almost 2 years, I’ve decided to change to WordPress. I did this mainly out of comfort, as the old software only provided very basic features. The old post will be transfered into this new set up eventually.